Olympic silver medallist P.V. 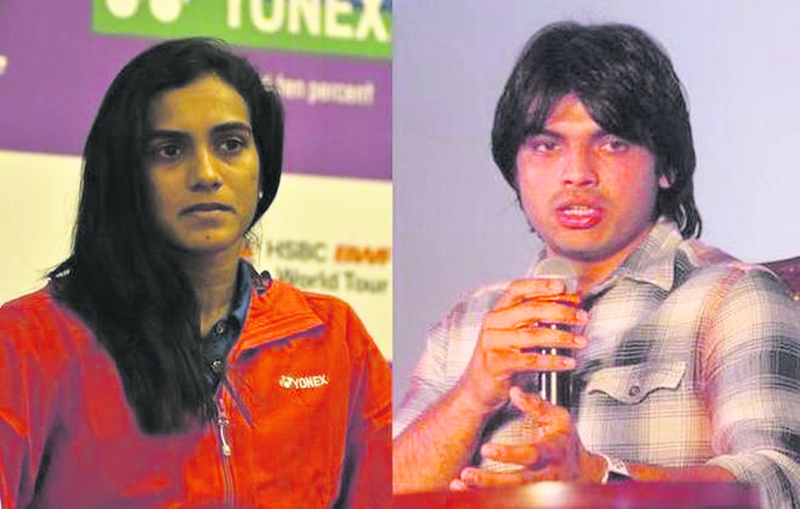 Sindhu and star javelin thrower Neeraj Chopra were named as female and male sportsperson of the year in the ESPN India Multi-Sport Awards for their achievements in 2018. Sindhu got the nod for the top women’s award for her season-ending BWF World Tour Finals tournament in China and her impressive performance at the 2018 World Championships. Neeraj was picked for the top men’s award for his gold at 2018 Commonwealth Games and Asian Games, setting the national record of 88.06m. The 2012 London Olympics bronze medallist shuttler Saina Nehwal won the award for the ‘Comeback of the Year’ after bagging the bronze at the 2018 Asian Games. Jaspal Rana, coach of the Indian shooting team, claimed the ‘Coach of the Year’ award after India picked up 16 medals in shooting at the 2018 Commonwealth Games. The Indian women’s table tennis team took home the award for ‘Team of the Year’ after it clinched its first ever gold medal at the 2018 Commonwealth Games. The ‘Moment of the Year’ award was decided through public poll and has been awarded to the Indian women’s 4x400m relay team for winning the gold at the Asian Games. The awards recognised achievements across 11 categories, of which winners across 10 categories were selected by an independent 14-member jury. Eminent people in the jury include Abhinav Bindra, Rahul Bose, Chetan Baboor, Ashish Ballal, Manisha Malhotra, Nisha Millet, Ashwini Nachappa, Aparna Popat, Renedy Singh, Devarajan Venkatesan and Rohit Brijnath. Lifetime Achievement Award - Pradip Kumar Banerjee (football).